For more information about the event, please download the program ! For more information about the start-ups, please download the booklet ! 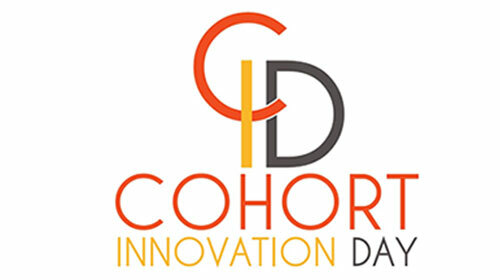 Building upon the success of the Cohort Innovation Days held in Paris in 2014 and 2016, ARIIS (Alliance for Research and Innovation in Health Industries) and Aviesan (French National Alliance for Life Sciences and Health) organize a third Cohort Innovation Day on October 3rd, 2018 in "Station F", Paris. This new edition will focus on cohorts and artificial intelligence. FACILITATOR: one of the main missions of ARIIS is to facilitate the development of innovation by breaking down barriers in private research and increasing cross-fertilization between the fields of pharmaceutical, medical technologies, diagnostic and biotechnologies. ARIIS is convinced that building a propitious framework for innovation will help bringing ideas to the market and, therefore, to the patient. BRINGING TOGETHER: Aware of challenges that still have to be taken up by the health sector (cancers, infectious diseases, neurodegenerative or cardiovascular diseases, etc. ), ARIIS aims to interact with all stakeholders and gather them. Thus, ARIIS federates about forty compagnies in the fields of human drugs, medical devices, diagnostic, healthcare and digital technologies around a common goal: put the patient at the core of research/innovation system. AMBASSADOR: ARIIS is the first national alliance in the world that federates health industry stakeholders and is a major tool for giving France competitiveness and attractiveness. The « Strategic Council of Health Industries » highlighted two clear lines of work: develop biotechnologies for the benefit of the population and reinforce partnerships between public and private sectors in biomedical research. ARIIS intends to be an ambassador of these objectives and play a fully-fledged role, especially with the Cohort Innovation Day. Set up in April 2009, Aviesan was created out of a desire to improve French research performance by promoting consistency, creativity and excellence. This mission calls for scientific coordination of the main research themes, as well as operational coordination of projects, resources and funding. These objectives are performed within 10 thematic multi-organization institutes (ITMOs) whose primary role is to chair the strategic debates within their own scientific community.